Equities start the day higher as the 2nd half begins! Any guesses what the first half brought us in terms of stock market returns? Tell em what they won Johnny! 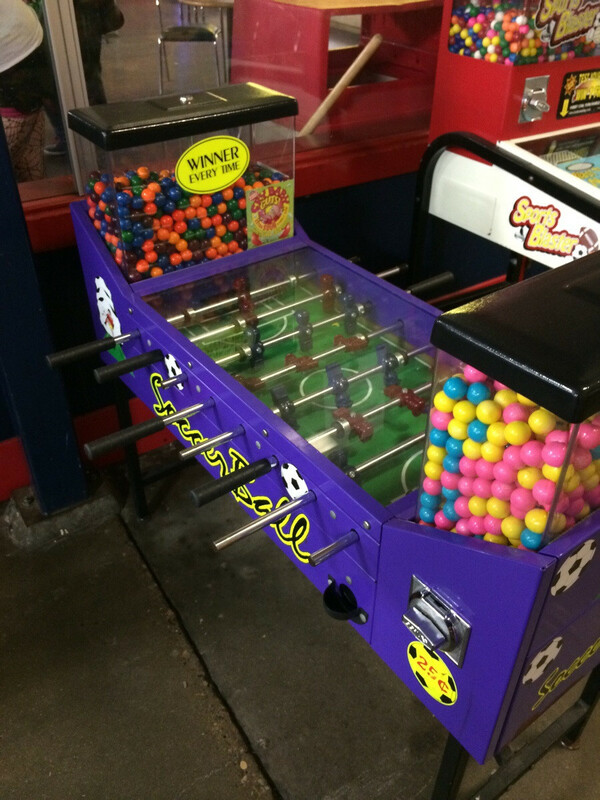 YESSS you won a whopping 20bps…0.20% on your money! (S&P500). Talk about a whole lot of angst for nothing. That being said, if you invested in a few major countries on the continent of Europe you won all kinds of double digit returns (as long as you invested in Dollars that is). Speaking of Europe did they fix Greece again? Our friends in Athens appear to have come to the realization that they overplayed their J – 4 hand and called up the Germans and said “so about bailout thing…yea it looks pretty good”. No joke this is impossible to figure out. Actually it’s not impossible to figure out, the Greek gov’t backed itself into a corner thinking they’d win some kind of National mandate to tell its creditors to pound sand. Unfortunately it looks like the majority of Greeks want to stay in the Eurozone so whatever game they were playing appears to have failed. Will this Greferendum happen? Won’t it? Stay tuned. Speaking of staying tuned, anyone try out that Beats 1 radio yet? (it’s in your music app on your iPhone now) I listened to it last night and it made me feel like I was hip again. Think they are going for the suburban Dad who wants to feel like he lives in Soho and drinks in speakeasies? Probably not huh. Anyway, where do we go from here? I think right back into the range. Michael Santoli of Yahoo pointed out this factoid on Twitter: “This year is the closest to the flat line after six months of any year since good recordkeeping began in 1928. And the S&P was contained within a 7.7% high-to-low range the whole time – the third tightest span for a first half ever, following 1993 and 1994.” A Greece meltdown could’ve changed that; a return of “kick the can mode” will just reinforce it. Oh well, its summer and we have Friday off, get excited people! After the open you could sense a bit of optimism that a deal was shaping up over there in those olive groves. Lots of headlines back and forth talking about concessions and bailouts and potentially suspending this vote on Sunday. But alas nothing firm shaped up and Tsipras said the vote would indeed be on. Sigh. A 1% rally got cut in half by lunch as we settled right back into a circling pattern of uncertainty. You know there’s one thing people don’t get about equity markets if they don’t live and breathe them on a daily basis: uncertainty is worse than bad news. Nothing meaningful can happen as long as the Sword of Damocles dangles. We’d rather it fall and deal with the aftermath than sit endlessly staring at it. CB (one of my favorite public company names) was the big winner as insurer ACE agreed to acquire them for $28B. High end insurance products are popular you say? Why does that not surprise me. “Uneven recovery” will be the best description of the past decade once history books are written. Other winners HIG, WYNN, TSO, and VLO. Losers were DAL, LUV, AAL, basically all the airlines as the DOJ opened some kind of investigation into them. How about investigating how lame coach class breakfast is on Transatlantic flights. A roll with butter and 2oz of OJ? Thanks United, Ill just gnaw on magazine instead. The back half saw a late day rally and we closed the day at 2,077, up 0.7%. Volume has been ok the past few sessions so I won’t complain any more about slow summer weeks. Fortunately we bounced off the 200 day MAVG so downside momentum should be broken for now. Still we wait….wait for the holiday and Greece to decide on her future. Until then most of this is noise so don’t read too much into daily price action. When markets fixate on one specific event they become insanely unpredictable (much more than normal) so we need to take these moves with a grain of salt. Still we like to see green on the screen and Kermit was definitely hopping around. Final Score: Dow +79bps, S&P500 +70bps, Nasdaq +53bps, Rus2k +20bps. Can we model a Grexit? One of my favorite new writers looks at a model for doing just that: The results of the stress test predict that the impact would not be "devastating" for the rest of Europe, but it would still be pretty ugly: "widening peripheral yields, tightening core country yields, a weakening euro and a downward pressure on equity, in particular financial stocks." Haven assets like U.S., German, U.K. and Japanese bonds would benefit. Among the highlights, it predicts a 25 percent plunge in European bank stocks and surges of 200 basis points in Italian and Portuguese five-year government bonds. German five-year rates would sink 46 basis points, plunging back below zero. Great factoid from @ritholtz on Twitter today: “1 dollar invested in stocks in 1802 grew to $8.8 million in 2003, in bonds to $16,064 in T Bills to $4,575 + in gold to $19.75.” So good luck gold bugs! Factset also wonders whether the market impact of Grexit is “overstated”: While Grexit will likely lead to a plunge in Greek currency and purchasing power and materially reduce import from its top five trading partners (Russia, Germany, Italy, Saudi Arabia and China, in descending order), the size of Greek import relative to the size of these five countries export is very small (< 1% on average) and should cause no meaningful disruption to these economies. In light of these potentially misstated exposures, asset prices could be temporarily mispriced, and Grexit may end up being more of an opportunity for information arbitrage than a macroeconomic risk to avoid. Ladies, if you see this combo on a guy you’d be all in right! Wow. 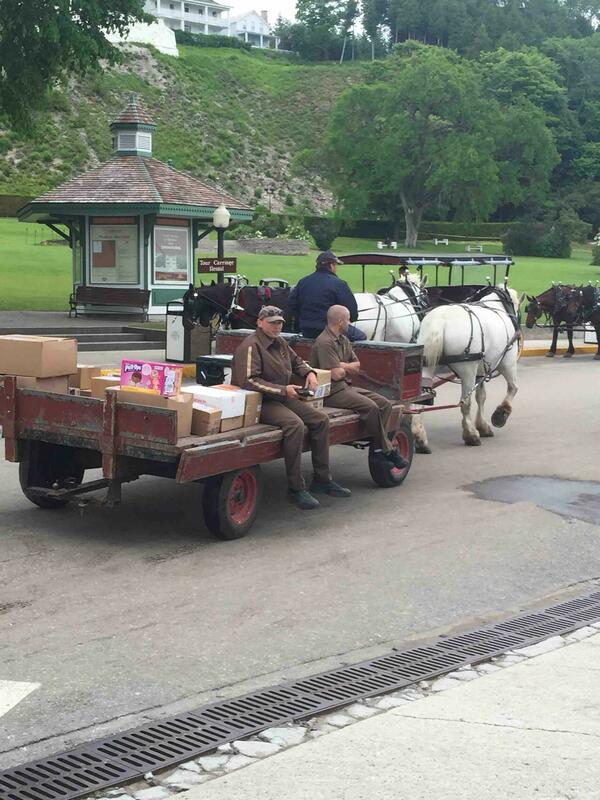 The UPS truck on Mackinac Island MI is awesome! We’ll end tonight with some sick road bike tricks. I find it hard to believe this guy didn’t destroy thousands of dollars in bikes practicing this stuff, I mean road bikes aren’t exactly a dime a dozen!